DigiApe Designs: Time For A FREEBIE! Well, it's been a little while since I had time to get one of these on here! But my fantastic CT team is helping me out! 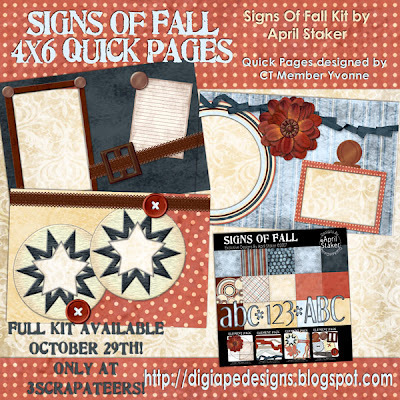 Yvonne created these awesome 6x4 QP's for you with my newest release Signs Of Fall! It will make its debut on Monday! So grab these while they are around! They will be gone after the weekend! Thanks for dropping by! This freebie has expired. Very nice Quickpages, thanks for the gift. TY all so very much!!!! 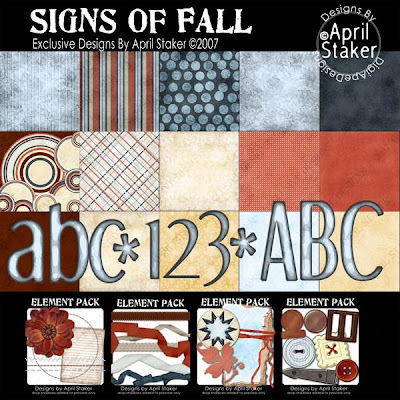 April thank you & Yvonne for the fab QPs! Thanks these are way cute! Thanks April! They are Gorgeous!